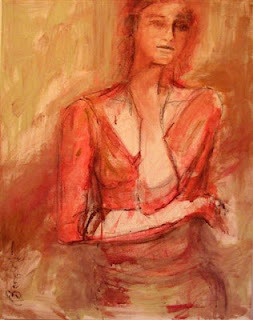 “Women Creating Women” is a show by women, about women, which will be on display April 12-17th, 2012, at Gallery 80808. Columbia artists Bonnie Goldberg and Kirkland Smith have been painting together for over 16 years in a weekly sketch group called About Face, which meets at the Columbia Museum of Art. 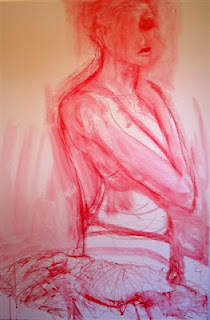 Together, with other artists, they work from figurative models. 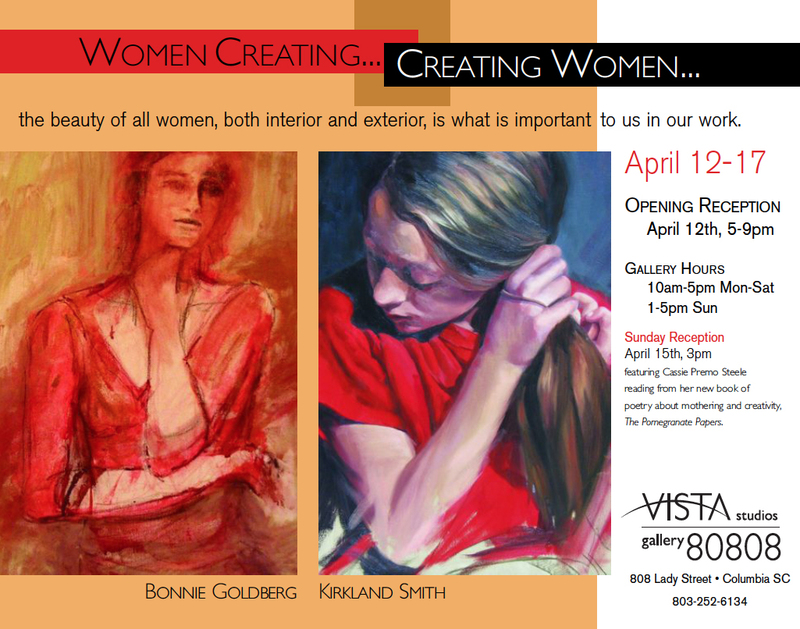 In this show, Bonnie and Kirkland celebrate the women they love to paint as a way to celebrate all women, everywhere. There will be an opening reception Thursday, April 12th, from 5-9pm and another reception Sunday, April 15th, at 3pm, featuring Cassie Premo Steele reading from her new book of poetry about mothering and creativity, The Pomegranate Papers. Bonnie Goldberg and Kirkland Smith both agree that working from live models is the best thing they do for their art. 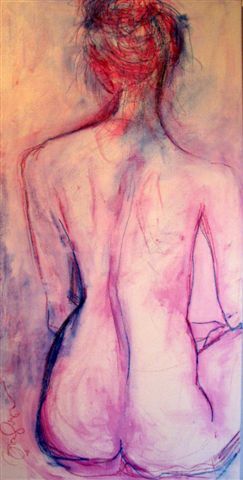 This discipline has helped each artist in their personal growth and both enjoy the connection they feel with the model. And yet each artist approaches the subject differently. Bonnie paints the model from the inside out, while Kirkland paints from the outside in. 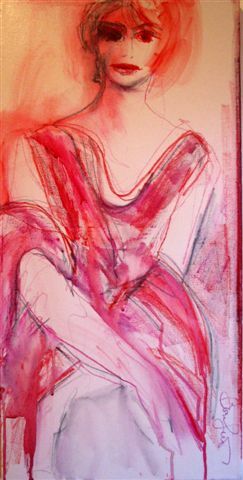 “My work as a painter takes me to the figure as it moves in space. The gesture is important to me and taking out the detail and trying to capture the spirit of the movement in the smallest lines are what I try to achieve as I draw and feel what the pose is about. Bonnie is a self-taught artist who has studied with many notable painters including Alex Powers, Katherine Chang Liu, Glenn Bradshaw, Ernest Velardi, Don Andrews, Sigmund Abeles, and Carole Barnes. Her work is in private collections in the United States, Canada, and France. “In all of my work, the subject is the light, and how it falls across the form. I am endlessly fascinated with the figure and how the muscles move under the skin and around the skeletal bones. With my paint, I follow the light as it curves around the body and disappears into the shadows. I try to capture the model as I see her-and the characteristics that make her unlike anyone else. Kirkland earned a BA in Studio Arts at USC, studying everything but painting to get a broad background in the arts. Several years ago she studied classical painting and drawing at Studio Escalier in France. In addition to painting, Kirkland creates 3-D environmental art from post-consumer waste. Her work is in collections across the country and in France.